The Pololu AltIMU-10 v5 provides a Gyroscope, Accelerometer, Compass and Altimeter onto a convenient I2C module. With a full suite of spatial sensors this IMU Inertial Measurement Unit provides the ability to calculate altitude and orientation in 3D space. The AltIMU-10 features an LSM6DS33 gyro and accelerometer, an LIS3MDL magnetometer and an LPS25H digital barometer. 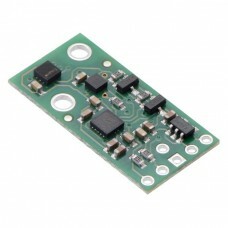 Each sensor is accessed via a single I2C interface on a small one by one half inch board. 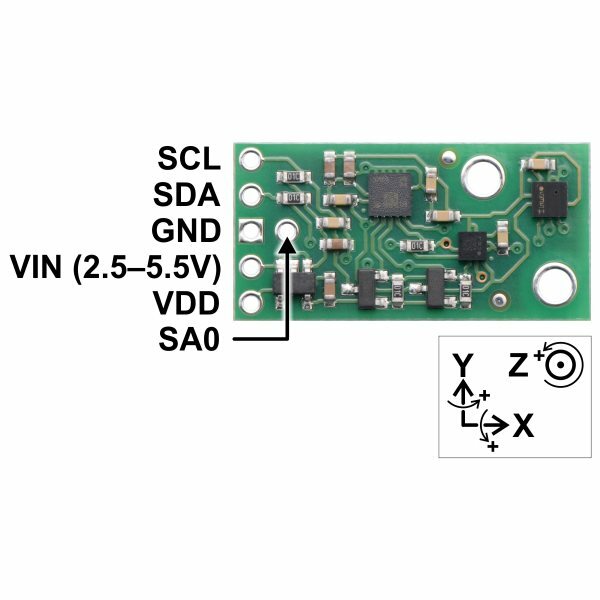 This module operates from 2.5-5.5V for use with a wide range of robot microcontrollers. The triplet of 3 axis sensors provides a total of nine independent acceleration, rotation and magnetic compass readings for determining precise orientation and heading in 3D space. 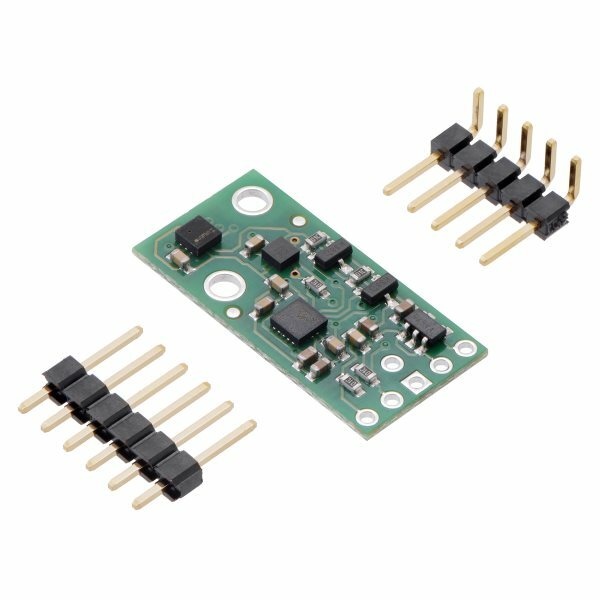 By using the digital barometer to measure altitude, this module can provide 10 DOF Degrees Of Freedom. Create a dynamic AHRS Altitude and Heading Reference System for your flying drone project. 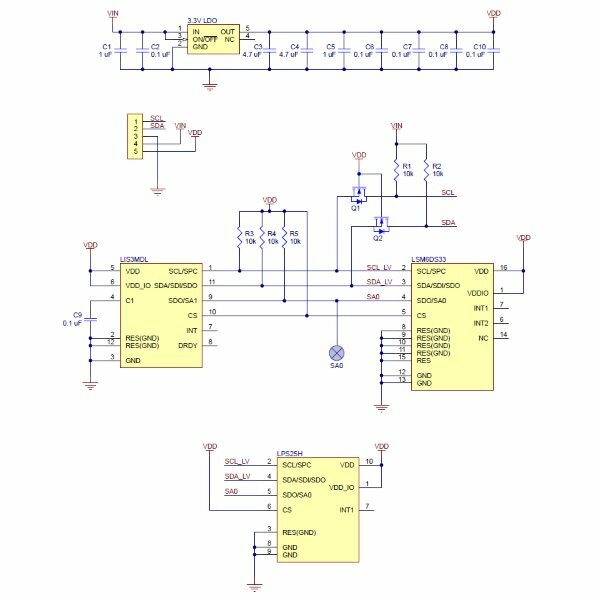 This module includes two optional pin headers that require soldering.